A parent company is simply a company with at least one subsidiary. More specifically, the parent company owns the majority of the shares of another company or companies. In order to start a parent company, you will need to go through the formalities of corporate formation for the parent company. After that, you must form the subsidiary and issue a majority of its shares to the parent company. Decide which jurisdiction you want to use to establish the parent corporation. In the U.S., each state has its own incorporation laws. The state of Delaware is generally thought to have the most favorable corporate laws. 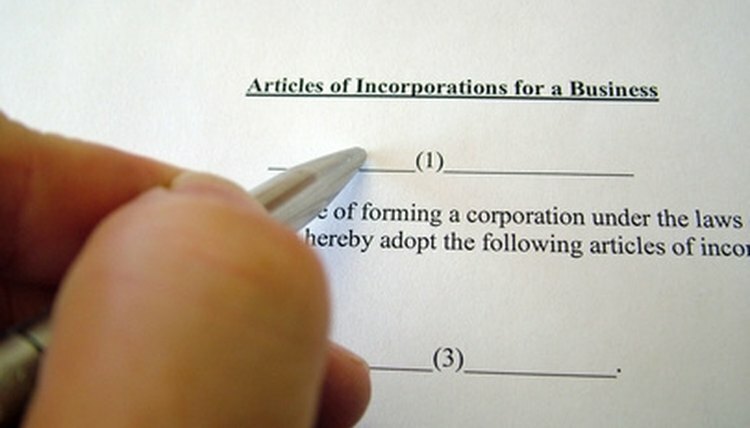 Draft the Articles of Incorporation for the parent company. This document is normally no more than one page long and lists the incorporators, the shareholders, the directors, the registered address and the registered agent (the person designated to receive official communications for the company). The Articles of Incorporation also include a corporate statement of purpose. The statement "any lawful purpose" is acceptable and offers maximum flexibility. File the Articles of Incorporation with the Secretary of State in the jurisdiction in which you have decided to incorporate. A modest filing fee (which varies according to jurisdiction) will be required. Draft corporate bylaws for the parent company (see Resources section). Corporate bylaws act as a corporate constitution and define the powers of the shareholders and directors. Most states do not require corporations to file corporate bylaws. Repeat the corporate formation process for the subsidiary. The parent company should be listed as the sole or majority owner of the subsidiary in the subsidiary's Articles of Incorporation. The parent company should also appoint a majority of the subsidiary's directors in order to ensure effective control over its day-to-day operations. Draft share certificates for the subsidiary, made out in the name of the parent company, and have them delivered to the parent company's registered agent for safekeeping. Carnes, David. "How to Start a Parent Company." , https://legalbeagle.com/6030562-start-parent-company.html. Accessed 19 April 2019.